For two years Miller was the Northwest Regional Director of Mankind Research Unlimited (MRU), before it reorganized into MRF, Mankind Research Foundation. Iona Miller is a nonfiction writer for the academic and popular press, clinical hypnotherapist (ACHE) and multimedia artist. Her work is an omni-sensory fusion of intelligence, science-art, new physics, symbolism, source mysticism, futuring, and emergent paradigm shift, creating a unique viewpoint. She is interested in extraordinary human potential and experience, and the effects of doctrines of religion, science, psychology, and the arts. She writes for and serves on the Advisory Boards of Journal of Consciousness Exploration & Research, DNA Decipher Journal , and Scientific God Journal, as well as the Board of Directors of Medigrace, Inc., and Editorial Board of CRAFT (Community Resilience through Action for Future Transitions). Ms. Miller is published by Phanes Press, Destiny Books (Inner Traditions), Autonomedia, Nexus Magazine, Paranoia Magazine, Green Egg, DNA Decipher Journal, Scientific God Journal, Journal of Consciousness Exploration & Research, Dream Network, Journal of Nonlocality & Remote Mental Interactions (JNLRMI), Chaosophy Journal, OAK, PM&E, DNA Monthly, Antibothis, Pop Occulture, and more. Over the last 10 years Ms. Miller has coordinated the projects of MRU alumni from 3 decades, in intelligence, spyence, new physics, paranormal, creativity, consciousness studies, DNA research, superlearning, DIY mind control, biophysics, and other frontier science and blue sky experimentation. This work continues in a variety of forms and outlets. She also makes science-art videos. When I first met Richard Alan Miller in 1976, he had wrapped up his part-time activities in Parapsychology, from the end of 1972-1975, and focused on his business Beltane Herbs. We had both come up with a strong background in Theosophy. Not only that, his interests in metaphysics, alchemy and Magick, which paralleled my own, as well as our mutual interests in Jungian and Transpersonal Psychology made us a power couple in some circles. So click the heels of your Ruby Slippers together three times, and come along for the ride. Rick was notorious in Seattle, known as the "Emerald City" as their local media-savvy magician/witch and operated Beltane Occult Books and Beltane Herb Co. at the time, centers for a variety of what have come to be known as New Age activities and services. But these were no channeling housewives nor slacker hippies, for Rick was trained as a rigorous scientist, having built (with help from Boeing scientists) a cloud chamber, then a linear accelerator for the national science fair in high school, and a plasma jet in college. Clearly he was destined for experimental, rather than theoretical physics. Wherever he went as a "strange attractor," he surrounded himself with an innovative group of individuals with their own ideas and projects. Miller had worked briefly for duPont and Boeing in infrared countermeasures and in biophysics for a brief time in the mid-70s as an instrumentation specialist at the University of Washington, Department of Anesthesiology, under pain specialists Dr. Ray Fink and Dr. John Bonica. There he participated in the first studies in the U.S. on acupuncture. He learned from eminent scientists such as Dr. Charles Muses (hyperdimensional math) and Dr. Albert Szent-Gyorki (quantum biochemistry). In graduate school, his thesis advisor was Dr. R. B. Murray, winner of the Nobel Prize in solid state physics. He also picked up such enrichment courses as Helmut Schmidt's "Eight Lectures on Yoga on the I Ching." 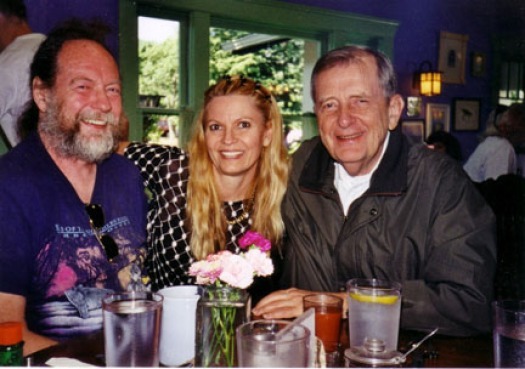 And he brought that rigor to the then embryonic science of parapsychology where his work was picked up for publication by Dr. Stanley Krippner, now Allan Watts academic Chair at Saybrook Institute, the Transpersonal Psychology graduate school. Like all science students, Miller had learned, as Kuhn told us, about the structure of scientific revolutions and how science purges itself of outmoded notions roughly every 20 years. He considers science to be the leading religion of the times--the modern day form of magic. He became a player in the latest revolution forecast and outlined by Marilyn Ferguson in 1980 as The Aquarian Conspiracy, and by Fritjof Capra in The Tao of Physics and The Turning Point, and by Ken Wilber in The Holographic Paradigm. The wise and wonderful Oz says, "Pay no attention; don't look at the man behind the curtain..." But since I was no naive Dorothy, but more like Glinda, the good witch of the South, I had a front-row, center seat for the festivities. Unlike Dorothy, there was no "falling asleep" in these excursions through a variety of multidisciplinary consciousness-altering "fields." KIRLIAN PHOTOGRAPHY - Bioplasma or Corona Discharge? As a physicist, biophysicist and instrumentation specialist, his first foray into Parapsychology, or more accurately Paraphysics, came in Nov-Dec of 1972. He conducted experiments in Kirlian Photography with Karl Elmendorff at the University of Washington. He was aided in this effort by Dr. John Bonica and Dr. Neidemeyer, who had worked on the Manhattan Project. Miller wrote a field theory for Kirlian photography, duplicating Adamnko's. 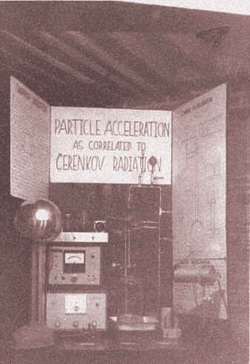 These experiments showed the effect to be a secondary emission of electrons ionizing local gases, rather than a bioluminescent phenomenon of extrasensory or spiritual importance. People were pre-disposed to see physical demonstrations of so-called auras, and so they attributed the phenomenon to this traditional analog, because it served their belief system. This effect also can occur among researchers where it is known as "experimenter-bias". However, even when Miller's finding was published as "The Physical Mechanisms in Kirlian Photography" in 1975 in The Energies of Consciousness, edited by Stanley Krippner and David Rubin for Gordon & Breach, the superstitious interpretations continued, and continue to this day. Other contributors to this Krippner book included Edgar Mitchell, Victor Adamenko, William A. Tiller, John Pierrakos, Theodore Barber, David Bresler, and James Hurtak. This work was also published as part of Kirlian Electrophotography, a data package prepared by Mankind Research Unlimited, Inc. headquartered on Wisconsin Avenue in Washington D.C. Miller's contribution was the Kirlian Device Circuit Diagram based on one retrieved from the Soviet Union by Dr. Krippner. In the spring of 1973, Rick met Burt Webb through the Experimental College at the University of Washington. The Experimental College was the graduate project (MBA thesisi) of another friend, Michael Wells Mandeville, and became the model nationally for community-based continuing education. Michael is now pursuing his predictions of earth changes based on Edgar Cayce's prophecies, and often appears on talk radio and the History Channel. Burt was a technology forecaster in the local chapter of the World Future Society. He had coordinated the computer exhibits at the Global Villiage conference at Evergreen State College, sponsored by the Governor's office. Burt shared Rick's interest in exploring the interface between science and the paranormal and he produced many original ideas. By September, 1973 Miller found funding under the sponsorship of Seal Corporation, a thinly disguised front for Naval Intelligence, doing business in Massachusetts. Rick's handler was Ted Krueger. Experiments conducted here were primarily in ESP monitoring and induction through Hypnosis. Rick subcontracted Burt for a research project requested by Krueger. Burt's job was to develop a series of products which could exploits the public's interest in the paranormal. He reported back with 6 possible product designs. The techniques for Inducing ESP through Forms of Self-Hypnosis came from collaboration with Yugoslavian hypnotist Milan Ryzl, who was a guest for several weeks. Employing Ryzl's techniques with his own synthesis, Miller was able to win the First Psychic Tournament, sponsored by Llewellyn Publications at Gnosticon Conference in Sept. 1975 . He competed with around 40 other self-styled psychics, such as Noel Tyl, Jean Dixon, Sybil Leek, James Hurtak, Isaac Bonewits. Another development of this work is the ESP Questionaire, which Miller gave to around 1000 students at both the Gnosticon Festivals and his Experimental College class, where he taught the induction of ESP with self-hypnosis. Another concurrent project at this time was Project Parafile, a computer-based bibliography of parapsychology and occult references to psi phenomena -- a database that rapidly fell into obsolescence. This project was done in the days of card files, and the work was extensive. A full 10% of the literature search entries related to ESP, even though the field was still in its infancy. Burt led a group of volunteers who carefully keypunched thousands of citations onto punch cards. Ken Hockett and another Boeing employee used Boeing computers to create a database from the punch cards. Naturally, now that sounds laughably obsolete. The Seal Reports were Miller's first paranormal works for the government, but at the time he was unaware of potential applications. Having shifted his worldview from that of a buttoned-down scientist to that of an open-minded psychonaut and consciousness explorer, he often found his experiments demonstrated the hypothesized psychophysical phenomena. He embodied the paradox of being an underground regional "edge-celeb," yet at the same time being sponsored by a government often hostile to his worldview and orientation. In other words, he cleverly got the government to sponsor his parapsychology hobby! Or so he thought, little realizing how that information might be employed in twisted mind-control experiments, or how his own notoriety with the government could affect his further work. In 1973, what has come to be known as the Pribram-Bohm Holographic Model was non-existent. But this Seattle think-tank, lead by Miller and Burt Webb were able to put together the work of Northrup and Burr on the electromagnetic nature of the human being with Gabor's work on holograms and come up with a new notion. Pribram had postulated 2-dimensional interference patterns, physical holograms, as underlying all thinking. The holographic component, for him, represented the associative mechanisms and contributed to memory retrieval and storage and problem-solving. However, Miller, Webb and Dickson boldly asserted that the holographic metaphor extends to n-dimensions and therefore constitutes a fundamental description of the universe and our electromagnetic embedding within that greater field. Thus was born the "Holographic Concept of Reality" in 1973. This paper was presented at the 1st Psychotronic Conference in Prague in 1973, and later published by Gordon & Breach in 1975, and again in 1979 in Psychoenergetic Systems: the Interaction of Consciousness, Energy and Matter, edited by Stanley Krippner. Other notable contributors to this volume included Michael A. Persinger, (now famous for his neuromagnetgic simulations of alien abduction often demonstrated on TLC and the Discovery Channel), John Curtis Gowan (taxonomies of states of consciousness from Trance, Art and Creativity; Development of the Psychedelic Individual), Robert O. Becker (effects of electromagnetism on physical systems), Theodor Barber, David Bresler, S. D. Kirlian, and Thelma Moss. Picking up on the work of Pribram independently, David Bohm published his explication of the holomovement in his classic text Wholeness and the Implicate Order (1980) and the Pribram-Bohm theory was born and embraced widely as a foundation of the new sciences from physics to neuropsychology. This theory was fundamental to a deep understanding of the later emerging Chaos theory and Complexity, the dynamics of complex interrelated systems. Rick took a primitive remote terminal to the Omniversal Symposium. He linked up to the Project Parafile database in Seattle, took questions from the audience and read off the answers returned by the database. This was the primitive forerunner of what have become laptop computers, but this terminal was briefcase-sized. Miller and Webb followed up their ground-breaking paper with "Embryonic Holography," which was also presented at the Omniversal Symposium at California State College at Sonoma, hosted by Dr. Stanley Krippner, September 29, 1973. To our knowledge, this is the first paper to address the quantum biological properties of human beings--the first illustrations of the sources of quantum mindbody. Dropping a level of observation below quantum biochemistry and conventional biophysics, they proposed that a wave-based biohologram determines the development of the human embryo; that we are a quantum bodymind with consciousness informing the whole process through the level of information. They postulated DNA as the possible holographic projector of the biohologram, patterning the three-dimensional electromagnetic standing and moving wave front that constitutes our psychophysical being. This work was reprinted much later in the journal Psychedelic Monographs and Essays, Vol. 6, 1993. The theory implied physical regeneration of tissue, or the liquid crystal properties of body fluids. He also became aware of Allan Frey's work in the .3-3 gHz regions, which is a microwave input which allows the brain to directly receive voice transmissions. This discovery has recently resurfaced as synthetic telepathy. By this time, Miller was the Northwest Regional Director of Mankind Research Unlimited (MRU), the Washington D.C. based paranormal phenomena investigation team. He worked briefly under the direction of Dr. Carl Schleicher. A large portion of the work of Dr. Hiroshi Motoyama was turned over to Miller, including original strip-charts, to duplicate his experiments in psychokinesis, one person's mind influencing the body of another, in the same and in remote locations. No duplications of this research were done. "Richard Miller, director of Mankind Research Unlimited's Northwest Regional Office here says that a study by the University of Washington's Dept. of Pathology showed that one man, Warder Bacon, probably had his body entered by the psychic surgeons. 'An X-ray before he left for the Philippines shows that he had a great amount of cancerous tissue in his liver,' says Miller. 'He died about two months ago, and the liver showed no traces of cancerous tissues upon autopsy.' He says that not enough is known about the healers to make a positive or negative statement. It certainly warrants a definitive study, says Miller." "Psychic surgery is an emotional issue. There have been no authoritative studies of it. AMA statistics show, says Miller, that persons who have terminal cancer have a one-in-five recovery rate, even after the bad news is pronounced. The key will be to determine what percentage of persons who have been treated in the Philippines recover, says Miller, who adds that he is working to have a follow-up study started." That never happened. In 1975, Schleicher appointed D. Serge King as agent for Mankind Research of California and the West Coast. In 1974, Miller incorporated O.A.K. as the Organization for the Advancement of Knowledge, also known to its inner group as the esoteric Order of Ascending Kundalini. OAK sponsored several projects of its own, and under its auspices director Miller taught Shamanism at Evergreen State College and Parapsychology at Edmonds Community College between 1974 and 1976. He also taught at the Experimental College at the University of Washington (community college), several classes on parapsychology and the occult, publishing a regular column in The Daily. Meanwhile, fellow OAK member Burt Webb inspired his Evergreen colleagues to create a science fiction short-subject of a religion based on biofeedback, called EAT THE SUN. Burt plays the High Priest. The documentary-style film became a cult classic in the underground, revealing the evils of cult indoctrination long before many of the now-famous incidents. The film describes the Tapazia Ritual, an electronic trial by fire, wherein one's psyche and physiology are put into total synch through a videofeedback process conducted by the Church of Self Amplification, led by Guru Telemahandi. But in the movie, something goes wrong inside the film's creator, Jim Cox, and they "fry his brain." The guru's philosophy was summed up in a few choice aphorisms, such as "Eat the Sun, and then you will be your own father," and "The ecology of the soul is to recycle one's consciousness," and the parting-shot, "If they're old enough to pee, they're old enough for me!" A curious phenomenon about this movie is that, even when told it is a spoof, most people come out believing this actually happened! Experiments conducted under the Organization included those in biofeedback, in conjunction with Burt Webb and manufacturer J. & J. Enterprises, Inc. A group of 60 students at the University of Washington were monitored while engaging in Autonomic Training of various physical parameters, and they were trained in the induction of alpha brainwaves through hypnosis. Around the same time, Miller attended the Claremont Conference with Walter Houston Clark, where he presented papers on Time Distortion and Electrophoresis. In 1975, Miller participated and Webb directed Paracon I. The symposium at Seattle Center was attended by some 3000 people during the annual Bumpershoot Festival in Seattle. It was a day long conference on parapsychology. There were 5 different tracks covering body, mind, spirit, nature and science. Burt gave the keynote address in the evening which brought all the subjects together. In 1976, inspired by the synergy of Rick and Iona's magickal pursuits, OAK sponsored the esoteric Tiphareth Experiments, with participation by invitation only. These experiments became the basis of a later mystical compendium, The Holistic Qabala, (1981). These disciplines were drawn from traditional and eclectic sources and this Retirement Ritual was designed for the qabalistic invocation of the Holy Guardian Angel, or one's Higher Self, facilitating creativity and the embodiment of self-actualization or self-realization. Duplicating Iona's regime, regular practices included the Banishing Ritual, Middle Pillar Exercise, HGA Invocations, Tantric Lunar Resonance Meditation, (later published in Psychedelic Monographs & Essays) and Qabalistic Pathworking techniques for altering consciousness and stabilizing or integrating changes into a steady state. Beginning in the late 70's, Rick and Iona collaborated on The Magickal and Ritual Use of Herbs (OAK, 1978; Destiny, 1983), The Magickal and Ritual Use of Aphrodisiacs (Destiny, 1985), The Magickal and Ritual Use of Perfumes (Destiny, 1990), and The Modern Alchemist (Phanes, 1994), with artist Joel Radcliffe. Miller and Miller further pursued this interdisciplinary thread in the Diamond Body Trilogy, which includes Electro-Magick: Self-Realization through Yogatronics, Video-Graphics and Light-Loops, an advanced biofeedback technique implementing a mind/computer interface. The final volume, Yogatronics: Experiments in Perceptual Synergetics foresaw this application of synesthesia and Virtual Reality for inducing discrete states of consciousness. This led to Iona Miller's collaboration with Burt Webb on two papers in 1992, on "Virtual Magick" and "Virtual Therapy". From 1992 to 1998, Richard was the first instructor in Metaphysics on AOL's IES. During this period he assembled an extensive, searchable Metaphysical Library of available works for FTP download from the Internet. In 1992, OAK published Iona's "Anatomy of the Star Goddess: Quantum Cosmology, Virtual States, Energy Science, and Scalar Fields". Also in 1992 came Dreamhealing: Chaos and the Creative Consciousness Process with shaman/therapist Graywolf Swinney. In 1996, she published "Lost In Translation: the UFO Phenomenon as an Informational Virus", a prescient description of the phenomenology of what are now known as memes. In 1999, she co-authored SYNDEX I & II: A Synergetic Perspective on Number Dynamics with Bob Marshall, graphically demonstrating a solution to the prime number enigma and the 9/11 basewave in the number continuum. In 1999, Iona's alchemical article on drug-free experiential journeys "Chaos as the Universal Solvent" was published in Tom Lyttle's Psychedelics ReImagined (Autonomedia), which features a foreword by Tim Leary. During this period she also published the Asklepia Foundation journals, Chaosophy '93: A Journal of Chaos, Consciousness, and Philosophy; Chaosophy 2000: CRP Monographs; and Chaosophy 2001: Neuropsychology and Quantum Metaphysics. THE HOLOGRAPHIC PARADIGM is rooted in the concept that all organisms and forms are holograms embedded within a universal hologram, which physicist David Bohm called the holomovement. It is an extrapolation of the optical discovery of 2-dimensional holograms by Dennis Gabor in 1947. Holography created an explosion of scientific and industrial interest starting in 1948. In 1973, what has come to be known as the Pribram-Bohm Holographic Model was non-existent. But the Seattle thinktank, Organization for the Advancement of Knowledge (OAK), led by Richard Alan Miller and Burt Webb, were able to synthesize the work of Northrup and Burr on the electromagnetic nature of the human being with Dennis Gabor's work on optical holograms and come up with a new notion – a holographic paradigm. In Languages of the Brain (1971), Pribram had postulated that 2-dimensional interference patterns, physical holograms, underlie all thinking. The holographic component, for him, represented the associative mechanisms and contributed to memory retrieval and storage and problem solving. The "Holographic Concept of Reality" (1973) was presented at the 1st Psychotronic Conference in Prague in 1973, and later published by Gordon & Breach in 1975, and again in 1979 in Psychoenergetic Systems: the Interaction of Consciousness, Energy and Matter, edited by Dr. Stanley Krippner. Miller and Webb followed up their ground-breaking paper with "Embryonic Holography," which was also presented at the Omniversal Symposium at California State College at Sonoma, hosted by Dr. Stanley Krippner, September 29, 1973. Arguably, this is the first paper to address the quantum biological properties of human beings--the first illustrations of the sources of quantum mindbody. The Gariaev (Garyaev) group (1994) has proposed a theory of the Wave-based Genome where the DNA-wave functions as a Biocomputer. They suggest (1) that there are genetic "texts", similar to natural context-dependent texts in human language; (2) that the chromosome apparatus acts simultaneously both as a source and receiver of these genetic texts, respectively decoding and encoding them; (3) that the chromosome continuum acts like a dynamical holographic grating, which displays or transduces weak laser light and solitonic electro-acoustic fields. Gariaev reports as of 2007 that this work in Russia is being actively suppressed. http://www.geocities.com/iona_m/Chaosophy/chaosophy11.html Miller, Iona (1993) The Holographic Paradigm and CCP: Explication, Ego Death and Emptiness, Chaosophy 93. Miller, Iona FROM HELIX TO HOLOGRAM. An Ode on the Human Genome. Life is fundamentally electromagnetic. To conduct sound reseach, we must catch ourselves in the act of trying to verify our own preconceptions, a “perception Lab.” This is an intrisic problem of armchair scientists who are long on theory and short on experimentation. We have to pierce beyond the perceptual artifact to solid postulates, testable hypotheses, rigorous protocols, and acurate statistical analysis. But psi may prove to be more than just an artifact of primitive belief. Meta-narratives emerge as mythologizing, literature, psychology, sociology, religion or philosophy and cutting-edge science theories. The philosophy of science describes the dynamics of the scientific method. Just because the subject of psi remains objectively problematical doesn’t mean we should stop systematic investigation, both scientifically and metaphysically. Babies don’t know how the world works so they constantly keep testing their environment, over and over. Are we just cosmic babies, feeling our way along, blindly? We are when it comes to proofs of mind over matter. We must be willing to question our own beliefs, comprehending the nature of subjectivity, experimenter bias, and that the mind deploys them as explanations for unknown agency, the blindspots of our consciousness. As ever, any postulate and hypothesis we can make depends on "which" physics it is based in, since there are several competing models: Copenhagen, Many-Worlds, Transactional, M-Theory, Plenum Physics, and a wide variety of idiosyncratic theories. This simple fact makes quantum physics a domain of self-contained, mutually exclusive belief systems with their own presumed truths about the primordial nature of Reality. New Agers and armchair philosophers often confound and cobble them together into half-baked theories, sometimes with fantasies of “ascension”, aliens, and evolution. A theist will tend to attribute positive expectations of “agency” to God, a pagan to nature, a humanist to self, and an atheist to complex dynamics, or randomness,. A debunker is dismissive. A true skeptic remains open-minded, at home in the ambiguity. And the loose use of the buzzword ‘intentionality’ leaves its agent or means totally ambiguous. Does it really work to claim an intention to be intentional? Doesn’t intentionality always imply future tense rather than concrete results? If the implication is an ‘intentional result’ isn’t that an acausal pretzel-twist in logic? Jung tried to account for an acausal factor with his notion of synchronicity, but it is hardly testable, though most of us notice meaningful coicidences all the time. In mythopoesis many cultural forms meet and form an organic fusion. Does the contemporary revival of myth with focus on our creative potential point to the possibility of a unified world, a neo-Utopian variant where we wish and make it so? The notion "we create our own reality" is a relative truth. From a Jungian point of view, any "intentionality" we could exert would be subject to the competing agendas of autonomous archetyal forces and dynamics that don't give a fig about your personality needs. Existentially, we are moved by more than a single metaphor, a single role, a singlular self-image. Whatever you choose to call them, we harbor nested competing agendas, conscious and unconscious. Even in chaos theory, many forget there are strange repellors as well as strange attractors. Resonance is another buzzword rapidly equalling the old standby of spiritualism, “vibrations”, which has found vindication in quantum and vacuum fluctuation But somehow, both in our lives and quantum mechanics, these extradimensional entanglements are unobservable, beyond physics, and therefore strictly speaking, metaphysical. The ancients conceived of magic working through focus and will. Now a diffuse holistic awareness is preferred, perturbing the quantum flow. Whether we think we are changing reality through a focused act of will or even by "broad-beam" self-transformation the whole scenario may be a self-delusion cast in perennial truths and pseudo-scientific terms. If it bothers or offends you to think otherwise, this is more likely true. There is emotional attachment there, not clarity. If you think you can do it by "aligning" yourself rather than manifestation, why are you harboring fantasies of misalignment? It makes little sense that the particle "intends" and the field "corresponds". In Nature, the reverse leads to manifestion. Is this notion harboring a demiurgic God-complex, a control fantasy in an otherwise uncontrollable world? If we believe in God, why do we presume to interfere with that fiat by introjecting our small agendas? Does it conceal a spiritual hubris to be co-equal or co-creator with divinity? Or, more to the point, why would we look to the divine as an agent of psychophysical dynamics? There are many aspects of psi, some more credible and testable than others. ESP (information transfer) is the most plausble, psychokinesis (mind over matter) most problematical. Serious researchers are beyond parlour tricks such as seances, regressions, or ghostbusting. Still, there is no scientific or spiritual consensus about the mechanics of physics or consciousness, much less mind/matter interaction or the influence of one mind on another organism. But Mystery doesn't need to be metaphysical, mystical, nor dismissed as "noetic nonsense". It simply isn't limited by any of our concepts nor scientific blindspots. We can just admit we stand in the Mystery. The way to keep a path alive is to walk on it. And remember common sense, such as, “If wishes were horses, beggars would ride.” Even though we’d all like to think so, wishing and even earnest visualization doesn’t always make it so. "New technology in the area of Kirlian photography could help us not only in psi research but in other disciplines. Research on Kirlian photography is an area of psi that interests the United States government, and recently they have given several research grants to Mankind Research Unlimited Inc., of Washington, D.C., for work on the Kirlian effect. MRU, originally a subsidiary of a large engineering consulting firm, and now an independent company, considers the contracts ". . . 'firsts' for government supported 'human engineering' research grants." Former Naval officer Carl Schleicher, who is president and research and development director of MRU, told us, "We have found that the government can and will support research in these areas [psi], if such research is properly communicated to them, provides a beneficial use of tax payers' funds and is conducted by responsible organizations." One of Carl's secrets of communicating with the government in order to obtain psi grants has been translation of occult and parapsychological terms into "respectable" technical jargon. Referring to a grant project involving the study of chakras (body energy centers, according to yoga), Carl told the Washington Post Potomac Magazine (July 22, 1973), ". . . I can communicate this information to a government agency that doesn't know what the hell a chakra is . . . I just call them 'unique psychophysiological tools and techniques,' and they say, 'Fine, thanks very much.' " By the same token, Kirlian photography, for purposes of government grants, was described as "chemiluminescent and electrophotographic (Tesla effect) techniques," and "certain . . . psychosomatic evaluatory areas." With Kirlian photography, as with everything else for which he has sought funding, Carl looks for pragmatic applications-- techniques that can be applied to a problem, something to diagnose sickness, something that might even spot hijackers. Many people seem surprised at the idea that anything springing from the occult could prove practical and useful; yet basically, if there had not been certain practical benefits from the occult sciences, they would not have survived to modern times. gap between certain areas of Soviet research and our own . . . particularly, Kirlian photography. But certainly we have much to gain by pursuing such research. The great unknown potential of Kirlian photography may open up areas yet undreamed of, which can be of great benefit to the whole of mankind." In 1973, during the First International Conference on Psychotronic Research, I met Robert Pavlita a most enigmatic man. This controversial Czech inventor is the designer of the so-called "psychotronic generator," a device for storing and applying "biological energy." I don't speak Czech, but with the help of a translator we had a long conversation, after which he demonstrated one of his generators to the people at the conference. His daughter participated by touching her hand to her head in a rhythmic way and then touching her hand to the generator. Within a few minutes the generator started to move. This is very difficult to explain in any conventional way, and I know one physicist who couldn't sleep all night trying to figure out how this happened. The shape of the items that the alchemists used was very intriguing to Pavlita. What he did was to put together various materials of different shape by trial and error. From this he found that there were three components of the psychotronic generators similar to those that the alchemists used. One is the shape of the device. Another is the material from which it is made. The third and most important is the biological rhythm - the means for getting the biological energy from the living organisms into the device. He says that there are at least sixty-eight centers of biological energy in the human body, and he has invented a generator for each one. Each of these generators is fueled in a different way, and each of them performs a different task. Pavlita stated that eventually he discovered that the body's biological energy field acts electromagnetically in some experiments, electrostatically in some experiments, and in still other experiments, it acts in ways that defy either an electromagnetic or electrostatic explanation. What amazed me about Pavlita is that he has obtained all of his information from alchemy books or from trial-and-error experiments. He is not familiar with acupuncture, bio-energetic therapy, dowsing, structural integration ("rolling"), or any of the other procedures most parapsychologists know about and would naturally correlate with his work. He has gone very deeply into one specific area, and claims to have devised principles and laws by which he has produced these various devices. According to Pavlita, any person can work with a psychotronic generator because all people possess biological energy fields. However, Pavlita himself was the subject in all but one of the experiments he attempted in our presence, his daughter serving as the subject in the other experiment. We began to experience the most provocative part of Pavlita's work when we saw the very small and innocuous looking devices he uses. One appears to be a magician's wand - a small rod with a ball on the end. This was a generator that he claimed to be able to take into a distant part of his house to work on for an hour. He then would place the generator in a room where fruit flies were feeding on rotten fruit. He would aim the generator toward the flies and within a few minutes they would start to drop dead, or so he attested. After hearing this descriptive account, I asked Pavlita about this device: "If fruit flies drop dead when you point this generator at them, what do you think would happen with a large generator?" Pavlita replied: "This is a generator that has very dangerous implications. I'm too soft-hearted to kill anything but flies, but there is no doubt in my mind that one can kill a cat, a dog, even human beings, with a large enough generator." In the early days of his work, he said, he and his daughter were working on one of these experimental generators when suddenly her arm became paralyzed. They couldn't decide what to do. If they had taken her to a doctor, Pavlita thought, he would have said that it was psychosomatic. What Pavlita did was to work around the clock for three days, inventing another generator that restored natural movement to her arm again. After relating the story of his daughter's paralysis and recovery, Pavlita made it very clear that the reason he had not yet revealed his secrets is because he does not know if the world is ready for them. I don't know either, but there is one thing that is obvious: the day may come when psychotronic generators are widely available. According to Pavlita, they are simple and inexpensive to make. Once more people use the generators, their true functions and possibilities can be more accurately assessed. Richard Alan Miller began his professional career as a physicist, then as a biophysicist and instrumentation specialist. His first foray into Parapsychology, or more accurately Paraphysics, came in Nov-Dec of 1972. He conducted experiments in Kirlian Photography with Karl Elmendorff at the University of Washington. He was aided in this effort by Dr. John Bonica and Dr. Neidemeyer, who had worked on the Manhattan Project. Miller used Kervan's field theory for Kirlian photography; these experiments showed the effect to be a secondary emission of electrons ionizing local gases, rather than a bioluminescent phenomenon of extrasensory or spiritual importance. This confirmed the findings of Victor Adamenko. Experiments in photographing objects in electrical fields, prior to Kirlian, was called "electrography" or "electrographic photography." Little value was seen in the process, so scant attention was given to it. Electrographic photographs were exhibited as early as 1898 by the Russian Yakov Narkevich Yokdo (also given as Todko. Research in the fields was published by a Czech, B. Narvratil, also in the early 1900s. The published evidence of photographs of leaves coronas was presents by two Czechs, S. Pratt and J. Schlemmer, in 1939. The principle of Kirlian photography, as well as all electrography, is the corona discharge phenomenon, that takes place when an electrically grounded object discharges sparks between itself and an electrode generating the electrical field. When these sparks are captured on film they give the appearance of coronas of light. These discharges can be affected by temperature, moisture, pressure, or other environmental factors. Several Kirlian techniques have been developed, but the basic ones generally employ a Tesla coil connected to a metal plate. The process is similar to the one which occurs in nature, when electrical conditions in the atmosphere produce luminescences, auras, such as St. Elmo's fire. Kirlian's work mainly gained attention in the west during the 1960. Its reception was mixed. However, scientist met on the process at Alma Ata in 1966. Biophysicist Viktor Adamenko theorized that the energy field was the "cold emission of electrons," and the patterns they formed might suggest new information concerning the life processes od animate objects. One finding of Adamenko and other Soviet scientists was that the biological energies of human beings were brightest at 700 points on the body which concurs with Chinese acupuncture. There is evidence that Kirlan photographs do give indications of the health and emotional changes in living things by changes in the brightness, color, and patterns of light. At the University of California Center for Health Sciences, a plant's leaf showed changes when being approached by a human hand and pricked. Even when part of the leaf was cut off, the glowing portion of the amputated portion still appeared on film. Victor Adamenko lived next door to the Kirlians, and spent many years in intimate collaboration with them—sees the photographs as demonstrating the “cold emission of electrons” which can furnish pertinent and as yet unknown information about the nature of organic and inorganic materials, in particular, the nature of living organisms. People were pre-disposed to see physical demonstrations of so-called auras, and so they attributed the phenomenon to this traditional analog, because it served their belief system. This effect also can occur among researchers where it is known as experimenter-bias. This work was also published as part of Kirlian Electrophotography, a data package prepared by Mankind Research Unlimited, Inc. headquartered on Wisconsin Avenue in Washington D.C. Early work with corona discharge photography was done by S. D. Kirlian in the late 1930's. As consequence corona discharge photography is often referred to as Kirlian photography. Much has been written about corona discharge photography or Kirlian photography. Among recent papers on the subject are the following: "Corona Discharge Photography", by David G. Boyers and William A. Tiller, Journal of Applied Physics, Vol. 44, No. 7, pages 3102-3112, July 1973; "Biological Applications of Kirlian Photography", by Stanley Krippner, Journal of the American Society of Psychosomatic Dentistry and Medicine, Vol. 26, No. 4, pages 122-128, 1979; and "Kirlian Photography, Myth, Fact and Applications", Electro/78Conference Record, Institute of Electrical and Electronics Engineers, Inc. 1978. Each of these papers includes an extensive bibliography, U.S. Pat. No. 4,222,658 concerns a Kirlian photography apparatus. The International Kirlian Research Association, a nonprofit organization founded in December 1974, correlates, standardizes, and promotes research into Kirlian photography. This paradigm posits that theories using holographic structures may lead to a unified understanding of consciousness and the universe. Miller and Webb followed up their ground-breaking paper with "Embryonic Holography," which was also presented at the Omniversal Symposium at California State College at Sonoma, hosted by Dr. Stanley Krippner, September 29, 1973. Arguably, this is the first paper to address the quantum biological properties of human beings—the first illustrations of the sources of quantum mindbody. Dropping a level of observation below quantum biochemistry and conventional biophysics, this holographic paradigm proposes that a biohologram determines the development of the human embryo; that we are a quantum bodymind with consciousness informing the whole process through the level of information. They postulated DNA as the possible holographic projector of the biohologram, patterning the three-dimensional electromagnetic standing and moving wave front that constitutes our psychophysical being—quantum bioholography. Recent development The Gariaev (Garyaev) group (1994) has proposed a theory of the Wave-based Genome where the DNA-wave functions as a Biocomputer. They suggest (1) that there are genetic "texts", similar to natural context-dependent texts in human language; (2) that the chromosome apparatus acts simultaneously both as a source and receiver of these genetic texts, respectively decoding and encoding them; (3) that the chromosome continuum acts like a dynamical holographic grating, which displays or transduces weak laser light and solitonic electro-acoustic fields. The distribution of the character frequency in genetic texts is fractal, so the nucleotides of DNA molecules are able to form holographic pre-images of biostructures. This process of "reading and writing" the very matter of our being manifests from the genome's associative holographic memory in conjunction with its quantum nonlocality. Rapid transmission of genetic information and gene-expression unite the organism as holistic entity embedded in the larger Whole. The system works as a biocomputer—a wave biocomputer. ^ Bohm, David (1980) Wholeness and the Implicate Order, Routledge, London. ^ Beardon, Thomas (1980, 1988, 2002), Excalibur Briefing, Strawberry Hill Press, San Francisco. ^ Pribram, Karl (1971), Languages of the Brain, Prentice-Hall, Inc., Englewood Cliffs: New Jersey. ^ Miller, Iona (2007), private correspondence with Peter Gariaev. Gariaev, P., Tertinshny, G., and Leonova, K. (2001), "The Wave, Probabilistic and Linguistic Representations of Cancer and HIV," JNLRMI, v.1, No.2. Marcer, P. and Schempp, W. (1996), A Mathematically Specified Template for DNA and the Genetic Code, in Terms of the Physically Realizable Processes of Quantum Holography, Proceedings of the Greenwich Symposium on Living Computers, editors Fedorec, A. and Marcer, P., 45-62. All human cultures have a model of the universe. Primal societies embody their models in mythology and modern societies define their models with science. Such models serve important psychological and social functions. They are mythopoetic templates of experience. Meditation masters speak of an inner Light that pervades the physical and energy bodies. Now science investigates it as biophotons. Through quantum physics we can watch that matter/energy/information devolve back into the unstructured void from which potential emanates. Mystics have often equated this pervasive Light/Sound with primordial Consciousness and the source of life as well as matter. Quantum bioholography shows the DNA literally produces coherent light, which transduces to sound that directs the formative processes of life. Radiant energy is radiant energy - the energy gradient of electromagnetic waves at different frequencies. Whether we look outside into our environment or inside into ourselves we find primordial Light. ABSOLUTE SPACE, the womb of Nature. The fundamental primordial groundstate; the physical vacuum, not just absence of matter; absolute nature. Plenum/Void. Metaphysical Being. ZPE Virtual Photon Fluctuation is the boundary layer where nothing becomes something. Vacuum fluctuation, virtual photon fluctuation, scalar field, subspace, ZPE. Source of photons blinking into and out of existence from Absolute Space. Zero-point energy is made up of photons created by all those electrons in distant stars. Virtual photons in space are created by the motions of other electrons, mainly by “distant matter.” Each zigzag of a local electron is actually a nonlocal communication between it and distant matter. Each quantum photon consists of many photon pulses, which are collectively the ZPE of the vacuum of space. Emanation. PHOTONS are the basic unit of energy and cosmos. A photon is a single particle of light. The radiant ground is the fundamental source beyond the boundary layer of quantum foam. Photons are the self-luminous manifestation of Absolute Space. Plants, animals and humans generate up to 100 photons per second, per .15 square inches (1 sq. centimeter) of surface area. Electromagnetic waves are carried by particles called quanta. By using particle theory electromagnetic radiation can be examined as if it were composed of small particles of energy called quanta. Finite bundles, quanta of light are called photons. Though they can demonstrate particulate properties they are believed to be massless. However, though photons do not have mass, they do have momentum. The discrete 'particle' properties of Matter and Light (quanta) are in fact caused by Standing Wave interactions. Radiation. BIOPHOTONS. Light is stored in the cells of organisms, in DNA molecules of their nuclei. A dynamic web of light constantly released and absorbed by the DNA connects cell organelles, cells, tissues, and organs within the body and serves as the organism's main communication network and as the principal regulator for all life processes. DNA and the genome have now been identified as active "laser-like" environments. Biophotons are weak emissions of light radiated from the cells of all living things. The light is too faint to be seen by the naked eye, but biophotons have been detected and verified using photomultiplier tubes. Light is constantly being absorbed and remitted by DNA molecules within each cell's nucleus, creating a dynamic, coherent web of light. This system could be responsible for chemical reactions within the cells, cellular communication throughout the organism, and the overall regulation of the biological system, including embryonic development into a predetermined form. The laser-like coherence of the biophoton field is a prime candidate for exchanging information in a highly functional, efficient and cooperative fashion. Bioradiation. BIOPLASMA. Plasma is the fourth state of matter (liquid, gaseous, solid). Living organisms, including humans, are plasmas which produce waves. Life is electric, however, its control takes place magnetically, electromagnetically. The manifestations of life may be ultimately summarized in terms of plasma and radiation. The secret of life lies in process control through small energy and with minimal noise. Plasmas are conductive and only respond to electric and magnetic fields and can be efficient sources of radiation. Magnetohydrodynamics is based on magnetic transmission over a plasma carrier. Sedlak proposes that magnetohydrodynamics (MHD) can be used to model living bioplasma. This MHD controlled state correlates with metabolic process, such as anabolism-catabolism and oxidation, physiological currents and weakly luminescent effects (biophotons; bioluminescence). A complex signaling system is formed involving electric, magnetic, optical and acoustic effects. This signaling system must operate on the level of single macromolecules like DNA and on groups of molecules, such as cells, tissues, organs and the organism, and above all on the level of the metabolism as an ensemble of chemical processes. Bioluminescence. PHOTONIC BODY is a biohologram projected by coherent light and sound. We arise from and are sustained by field phenomena, waves of biophotonic light and sound, which form our essential nature through acoustic holography This coherent light transduces itself into radio waves (holographic biophoton field), which carry sound as information that decodes the 4-D form as a material object. Chromosomes probably transform their genetic-sign laser radiations into broadband genetic-sign radio waves. The polarizations of chromosome laser photons are connected nonlocally and coherently to polarizations of radio waves. This is an explicit physical analogue for the traditional mystical apprehension of inner Light and the Audible Life Stream. Bioholography. LUX and FLUX. Self-illumined Light is both an inner (biophysical) and outer (quantum and cosmological) essential phenomena. Energy/matter emerges as light from the boundary layer where nothing becomes something. Quantum nonlocality is directly related to laser radiation from chromosomes (coherent light), which jitterbugs its polarization plane to radiate or occlude photons. DNA and the genome have now been identified as active "laser-like" environments. Roughly speaking, DNA can be considered as a liquid crystal gel-like state that acts on the incoming light in the manner of a solitonic lattice. A soliton is an ultra stable wave train that arises in the context of non-linear wave oscillation. Despite their rarity on Earth, over 99% of the universe is in the plasma state. Earth, with its high density and low temperature (astrophysically speaking) is an anomaly! Stars, including our Sun, are big balls of hot, dense plasma. Interstellar space is filled with a dilute cold plasma. Supernova are the plasma remnants of exploded stars. Closer to home, lightning, flames and the aurora are examples of naturally occurring plasmas. CLEAR LIGHT. Sacred Light is generated internally by DMT, the spirit molecule, and within the ventricles but that is a correlation with the universal Clear Light. Meditation evokes pineal DMT release through EM vibrations. Visionary experience with symbolic or religious content gives way to dazzling light of illumination, reported in eastern and western religions. Meditation modulates pineal activity, eliciting a standing wave through resonance effects that coordinates other brain centers with both chemicals and electromagnetism. Resonance is induced in the pineal gland using electric, magnetic, or sound energy, resynchronizing both hemispheres of the brain, resulting in a chain of synergetic harmony that releases DMT, an endogenous psychedelic. The pineal contains high levels of enzymes and building-blocks for DMT, which may be secreted when inhibitory processes cease blocking its production with other chemicals, such as beta-carbolines which magnify and prolong DMT effects. DMT is the source of visionary Light in transpersonal experiences. Its primary source, the pineal, has traditionally been referred to as the Third Eye. Curiously, this gland is light sensitive and actually has a lens, cornea, and retina. DMT production is particularly stimulated in the extraordinary conditions of birth, sexual ecstasy, childbirth, extreme physical stress, near-death, psychosis, and physical death, as well as meditation. Pineal DMT may also play a significant role in dream consciousness. Meditative techniques using sound, sight, or awareness may generate particular wave patterns whose fields induce resonance in the brain. Millennia of human trial and error have determined that certain ‘sacred’ worlds, visual images, and mental exercises exert uniquely desired effects, causing multiple systems to vibrate and pulse at certain frequencies. When our minds and bodies resonate with these spiritual exercises the pineal begins to ‘vibrate’ at frequencies that weaken its multiple barriers to DMT formation and release. The biophysical field is a product of "biophoton" emission of subatomic particles. This may be supported by work carried out by German theoretical physicist Fritz Albert Popp, who discovered that all living systems emit photons in a process he called biophoton emission. Popp warns people not to confuse biophoton emission with bioluminescence. The spectral distribution of biophotons appears to fall within the range of 200-800 nm. Due to the biophotons being ultra-weak, it makes them almost invisible to the naked eye. Popp found that many living systems emit photons, and they were also surprisingly coherent. When photons become quantum-coherent, they share information with other photons regardless of the distance between them. The level of quantum coherence recorded by Popp was quite high and has only been recorded in superconductors or fluids known as a Bose-Einstein Condensate. A BCE consists of bosons [particles] which are in the same quantum state and behave like a single entity. Popp also discovered that DeoxyriboNucleic Acid (DNA) emitted the most biophotons. Due to proprieties of the DNA acting like a Bose Einstein condensate, the DNA can act as an energy storage medium for the delayed coherent emission of biophotons. When coherent biophotons are emitted, they produce complex interference patterns. The more coherent the biophotons emissions, the more sharper the EM interference patterns are. It is the biophoton emissions which result in the production of a biophotonic [quantum-coherent] amorphous scalar field (commonly known as the "biophysical field"). The term 'amorphous' describes a field which has no distinct shape; and the term 'scalar to describes a field which has no overall direction (like the radiation of heat from a hot body). ● The biophoton emissions are Zero-Point Energy (free energy). ● The amount of Zero-Point Energy for a Simple Harmonic Oscillator of frequency f is equal to ½ hf . ● Simple harmonic motion may cause more atoms within the human body to emit more coherent biophotons, which produce complex interference patterns. And the more coherent the biophotons emissions, the more sharper the EM interference patterns are. ● The large emission of Zero-Point Energy can interact with the quantum electromagnetic and gravitational vacuum fluctuations (i.e., the ZPF) and affect the space-time around-and-within the human body, resulting in a highly localized gravitational distortion.